Gite located Oree Forest Pool with int. heated. Property 4: Gite located Oree Forest Pool with int. heated. Idyllic, restored stone farmhouse in peaceful Burgundy countryside. 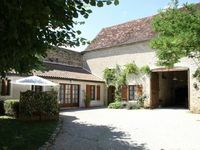 Property 13: Idyllic, restored stone farmhouse in peaceful Burgundy countryside. 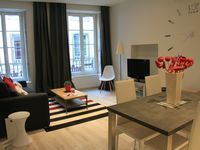 Property 16: COLOMBIER! Entire home! Property 22: The Little House of Lovers at 1:30 of PARIS quiet. 11km from Sancerre. Large house, terrace and enclosed garden, near the lake. Property 25: Large house, terrace and enclosed garden, near the lake. Property 43: Apartment near the slopes on the resort of redheads, quiet and comfortable. Property 45: Burgundy, cottage in wooden chalet near Vézelay. Property 47: Detached chalet, very well located in a very quiet set of 29 chalets. Very nice apartment. Perfect location in the middle of town. Would stay here again in a heartbeat. We thoroughly enjoyed our stay in this beautiful g&icirc;te.The accommodations are very attractive and comfortable in every way. Our hosts are very interesting and lovely people, knowledgeable about the area, and who added to our enjoyment of the experience. Behind the house is their expansive private park which we were free to explore. This is a very special place and we hope to return.